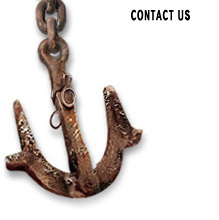 Cross Marine Projects provides marine drilling vessels and services in remote and challenging marine locations. 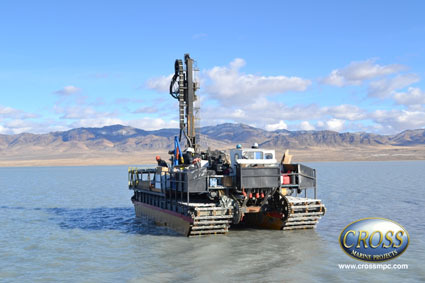 The Lake Sevier Drilling project required drilling of hundreds of holes in shallow water and mud. Our amphibious drilling platform and marsh master transport vessels provide access to locations inaccessible to traditional barges and boats. 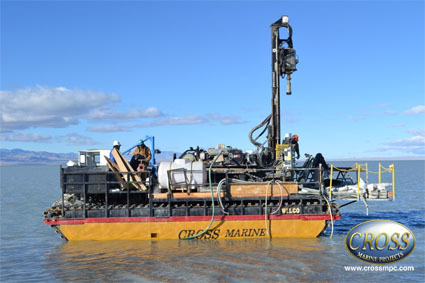 This Wilco platform can support a variety of drilling configurations as well as other marine exploration equipment. 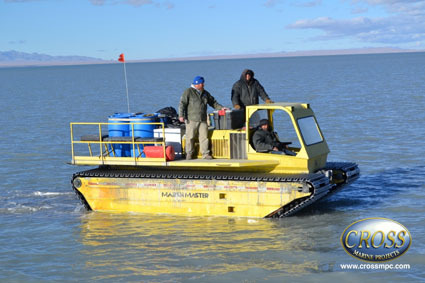 A marsh master transports crews and supplies to and from the drilling sites.